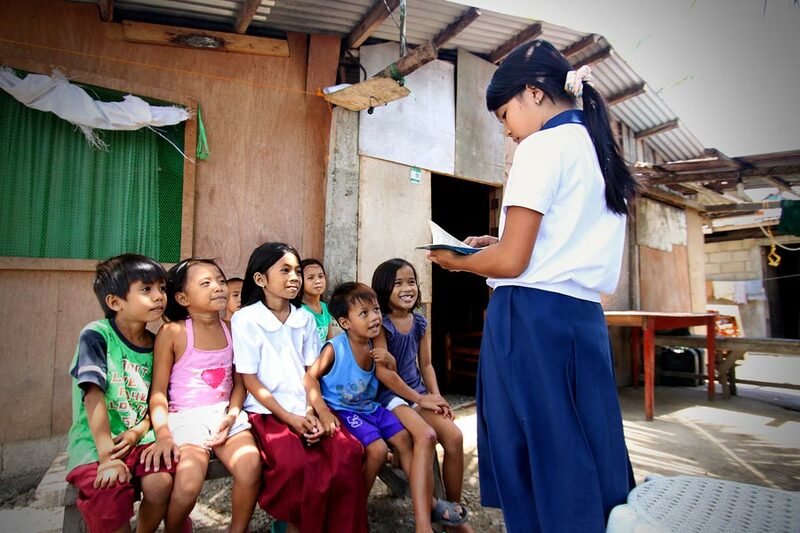 With a Bible in hand, a shy young girl in the Philippines is living out the true purpose of the Great Commission. You hear them before you see them. Bursts of song, infectious giggling, and shouts of laughter come from the narrow alley running between the wooden shanty homes in Masbate, the Philippines. Sitting outside on wooden benches in two neat rows is a group of children. 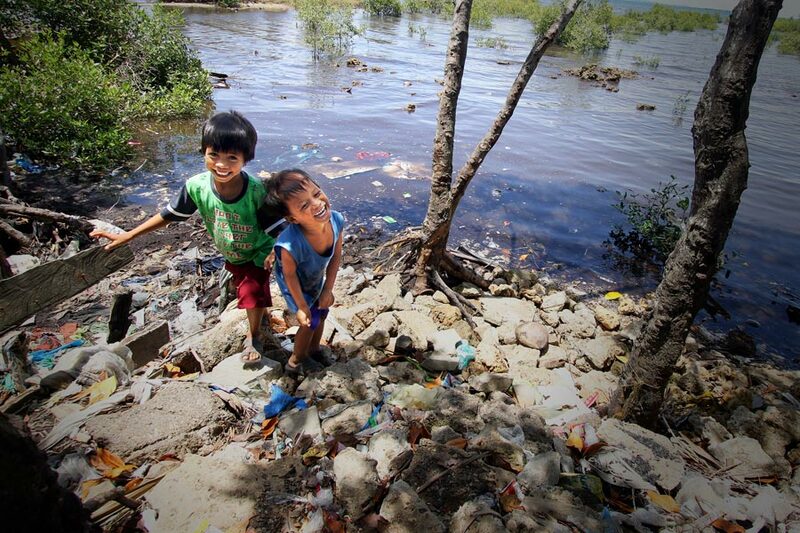 The little boys are barefoot and grinning, the girls wear their neat maroon and white school uniforms. It’s a tough task for any teacher to keep a bunch of five- to ten-year-olds in line, but the young girl with the sweet smile does it with ease. And when 13-year-old Rodeline picks up her Bible and begins sharing her favourite stories, they can’t take their eyes off her. Since she was 10, Rodelin has led what may be the Philippines’ most unusual Bible study group. With six younger siblings of her own, Rodelin is used to entertaining younger children. There’s a lot of them in her community, teasing one another and running along the path next to the mangrove swamp. She began teaching her young friends the songs she learned at the Compassion centre run through her local church, and soon she was telling them Bible stories. Rodelin's father works as a driver, but his job does not always bring enough money to support the family. But since Rodelin was registered with Compassion’s Child Sponsorship Program four years ago, some of the financial burden has been lifted. Now Rodelin has books, supplies and uniforms to go to school. She discovered how much Jesus loves her, too, and gave her life to Him. She wasn’t alone. Now she believes nothing is impossible—especially becoming a teacher when she’s grown up. Why is she so sure? “‘For I know the plans I have for you,’ declares the LORD, ‘plans to prosper you and not to harm you, plans to give you hope and a future,'” she says, quoting Jeremiah 29:11. With a Bible in her hand, Rodelin is bringing hope to her community in Jesus’ name. … For just $20, you can encourage a love for God’s Word in children like Rodelin by giving them their own age-appropriate Bible. By purchasing Bibles through Gifts of Compassion, you’ll bless a loved one with a beautiful card while your gift helps children to grow spiritually and learn about Christ’s incredible love for them. With a Bible in her hand, Rodelin is transforming her community. What impact will your gift have?